Dellapasqua improves the DC11 SL by polishing some exterior details. These new changes concern the window profile now more sports looking, and the radar arch being made of fiberglass. As is expected the Italian, Adriatic sea based builder does not change its deep hull shape, and the spacious well planned interiors. The inside of the DC11 SL, or to say better the lower deck are also a bit on the unique side for a shaft driven motor cruiser measuring twelve meters overall available with a three cabin lower deck option. Although the third cabin bunk is a small affair for kids. 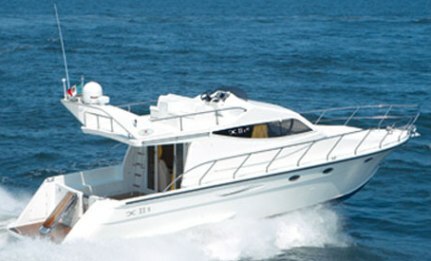 A two cabin with lower deck galley is also available. Power is twin diesel engines up to a maximum of 550hp each.